• 708 sq. ft., 1 bath, 1 bdrm single story - MLS® $314,800 - Parking & Locker Incl. 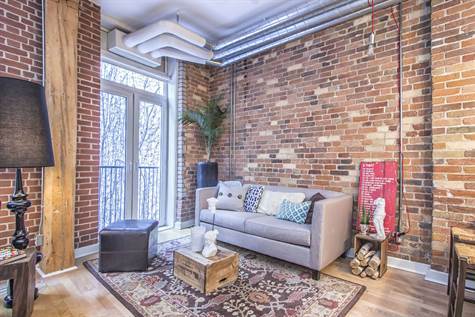 Harbour Square, Toronto - Gorgeous, 2 Bedroom Condo In Desirable Downtown Location. Walkers Paradise 97/100 Walkscore. 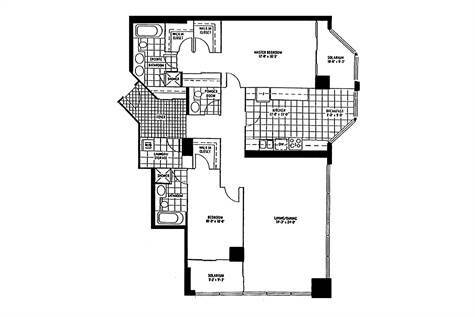 Great Split Bedroom Layout with 2 Full Baths. 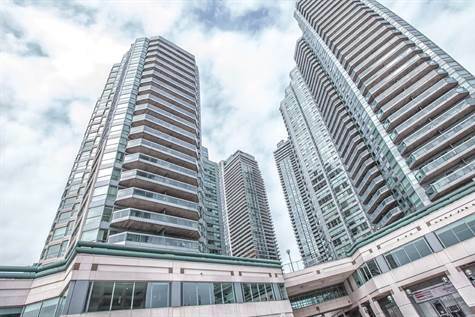 1 Parking & 1 Locker with Spectacular CN Tower City Views, Large Balcony, Laminate Hardwood, Designer Furniture & Finishes. Extras: Stainless Steel Fridge, Stove, Microwave/Hood, B/I Dishwasher, Washer/Dryer, All Elfs, Designer Solar Shades & Curtains, 1 Parking, 1 Locker, Hydro Included. Great Amenities Include Indoor Gym, 24Hr Concierge And So Much More!! February was the coldest month ever in Toronto! But that did not stop the real estate sales momentum of January. 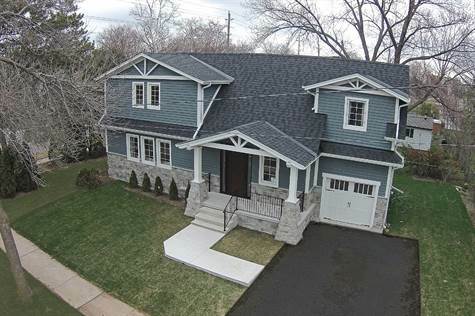 February sales as reported by the Toronto Real Estate Board were 11% higher than February of last year. This was achieved despite the fact that new listings for the month, and active listings at month’s end were down by 3% and 9% respectively from last year at this time. Average days on market also dropped from a year ago to 24 from 26 days. So much for my weather concerns with buyers and sellers. Turning to the condo market, it was February a year ago that the Globe and Mail ran an article on: “Five Reasons Not To Buy A Condo”. This February overall condo sales were up by 10% over February of last year. The primary worry was the downtown condo market. Condo sales in this market were also up by 10%. But what was more surprising was that new listings for the month of February were down 14% from February a year ago and active listings were 6% lower! On the Etobicoke Waterfront, condo sales were up by 15% while new and active listing numbers were unchanged from a year ago. Sales data on new condos always lags the resale market by a month. Sales in January were down 25% from January of last year. In 2014 there were 22,000 new condo sales which was the third biggest year ever. Sales for 2015 will depend on the number of new condo launches. (There is no lack of investors for good condo developments). For the first half of the year we expect fewer launches and hence sales will consistently run behind 2014. That is good for the resale market. In terms of condo prices we continue to track individual units. Average prices are so misleading. The average condo price west of Yonge St was down 3% in February from a year ago whereas the average price east of Yonge was up by 4%. But on a price per sf basis, condos west of Yonge are always higher than the east side. Church-Yonge Corridor, Toronto - Fully Furnished 1 Bedroom Condo @ The Met! 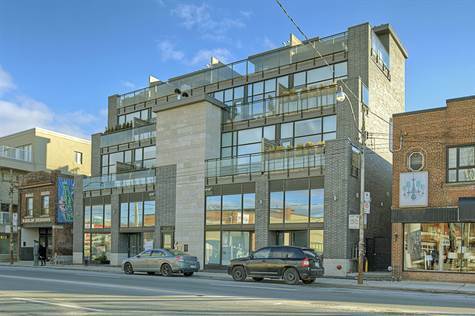 Feature 9' Ceilings, Hardwood Floors, S/S Appliances, Private Balcony, Floor 2 Ceiling Windows, Gorgeous City Views & Efficient Open Concept Layout. Great Building & Locale! 24 Hr Conceirge, Indoor Pool. Gym++ Maple Leaf Garden Loblaws across the Street. Excellent Value. Available May 1st. Extras: Stainless Steel Fridge. Stove. B/I Microwave, B/I Dishwasher. Washer/Dryer. All Window Coverings. All Elfs, 1 Locker, HD Flat Panel TV, All Furnishings & Cookware (Ask Agent for List), Min 1 year Lease. Steps to Subway. U of T, Ryerson, Shops, Major Hospitals & More! 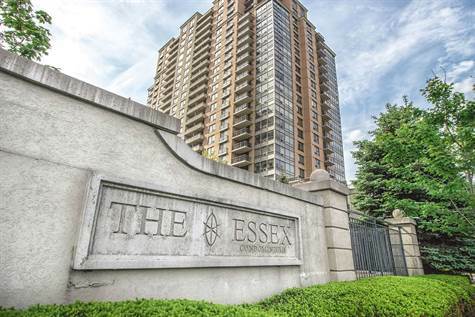 Queensway/427, Toronto - Amazing 2 Bedroom, 2 Bathroom Condo with Balcony. South East Exposure. 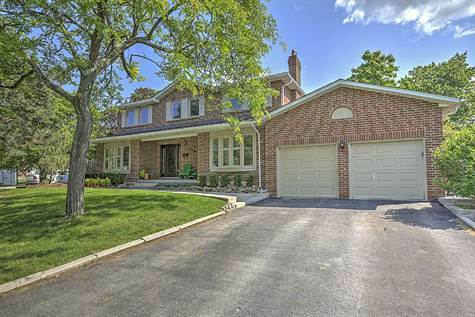 Walking distance to Sherway Gardens Shopping Mall & TTC. Bright & Spacious. Minutes To Go Station. Fridge, Stove, B/I Microwave/Rangehood, B/I Dishwasher, Washer, Dryer, Electric Light Fixtures, Vertical Blinds, 1 Parking Space, 1 Storage Locker. • Our forecast for 2014 keyed on the fact that 2014 would be a record year for sales on the Toronto Real Estate Board. We were the only ones who made that call. Most of the banks were calling for lower sales and a price correction. Today most banks and CMHC are calling for a strong real estate market in 2015 and we can only agree. • We also reported last year that the biggest challenge in the condo market was NOT the number of units being built but rather the mix of units. We need bigger units going forward and developers are already committing to more two bedroom units for 2015. • There are still some ‘bears’ that are negative on the Toronto real estate market. They will tell you that young people will move to the ‘burbs when they have children, that mortgage rates will be 7-10% sometime in the future, and that real estate prices are overvalued. The ‘bears’ making these comments don’t live in Toronto and they don’t know the vibe of the City. Some young people may move to the ‘burbs’ but most are going to stay downtown. Mortgage rates are not going anywhere for the next five years, and overvalued is an opinion not a fact. The market will always determine price. 1 Current immigration levels to Toronto (foreign and Canadian) require 35,000+ new housing units each year. Low rise construction is falling each year and currently sits at 11,000 units annually. The balance has to come from the high rise or condo sector. So current condo completions of 20,000 units annually will actually lead to a shortage in housing! 2 People hate ‘commute times’ and even with a commitment to improve public transit, nothing major will occur for at least seven years. 3 People living downtown are going ‘carless’. They want to walk or bike to work. The savings can be directed to more expensive housing. 4 Millenials value ‘free time’ above all else. That means Starbucks as opposed to grass cutting and a different lifestyle from baby boomers. The Toronto Real Estate Market Consists of Four Market Segments: Most forecasters make the fatal flaw of talking about a Canadian real estate market. The fact is it does not exist. Houses don’t move so it is possible to have an oversupply in one market and an undersupply in another. That being said, there is no such thing as a single Toronto market either. Hence we intend to narrow our focus to just the downtown (416) Toronto market. And within this market there are four segments we need to examine: the low rise market, the condo resale market, the new condo market (where less informed people equate cranes with oversupply), and the condo rental market. 1 Sales in the low rise market in Toronto may actually decrease in 2015. With the double land transfer tax, it is cheaper to renovate than to move. The only opportunity will be in the townhouse segment with infill housing. For developers the opportunity will be for stacked towns. That being said, prices in this segment can only go in one direction – up and 8-10% will be the norm. 2 Sales in the resale condo market will increase by 10% over 2014. Revenue Canada has effectively killed the Assignment Market by applying income as opposed to capital gains tax on profits plus charging HST on the profit and original deposits (treating the sale as a commercial property). The increase in condo sales will come from more listings, as most investors will sell their units as resale condos instead. We expect over 20,000 condo units to be registered in 2014 and the same number in 2015. With this increase in supply, we expect condo price increases to moderate with prices increasing by 2-3%. The silver lining for condo owners is that with the price of low rise properties increasing even faster, more buyers will be drawn to the condo market which will support current prices. 3 The new or pre-construction condo sale market is a challenge to track. Sales and ‘under construction’ stats are difficult to verify. Developers can report whatever numbers they choose and they often can overstate them. The only true measurement number is completions or registered units – those units entering the resale pool. In 2015 we expect about 22,000 units to get registered and we expect developers to report about 25,000 new sales. However the two most important changes to this market are the increase in the percentage of bigger - two bedroom+ condos being sold, and the launching of not just condo but multi-use projects (incorporating office and retail space with new condos). 4 The condo rental market will continue to grow faster than the resale market as more investors rent out their units. Currently the rental market is one and half times bigger in terms of transactions. The good news for tenants is that rents will be unchanged for most and that any increases will barely keep up to increases in operating costs for investors. But the good news for investors is that the vacancy rate will stay under 2%. There is no doubt that the Government would like to see a market correction occur with this real estate market. While we see little chance of this or a change to interest rates in 2015, do not rule out the Federal Government intervening with tighter mortgage rules (e.g. lower the TDS ratio, increase the minimum down payment, or ???). That could catch the real estate market off guard.